Toms River Regional Schools organized and hosted a half day Autism Summit for special educators at its Hooper Avenue administrative offices March 2. The event was led by TRRS Supervisor of Preschool and Autism Anna Kasper and overseen by Director of Special Education Joy Forrest. It included 58 participants representing 13 school districts. 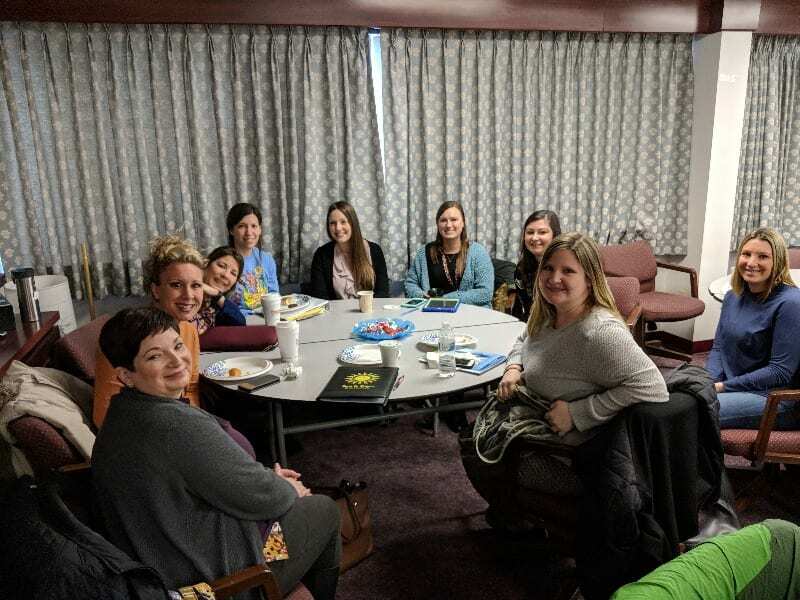 Teachers, child study team (CST) members, and board-certified behavioral analysts (BCBAs) mostly from Ocean County met to discuss and review best practices in programming for students with autism. Many districts, including Toms River Regional Schools, have programs specifically to support students with autism, ranging from preschool to the transition to adult life at 21. A first of its kind in the area, the idea to organize the event was hatched by Kasper and High School East teacher Chris Polhemus, who noticed a glaring need for a support session for autism educators. Some of the challenges to developing and improving programs include the cost of professional training; a rapidly evolving field with few universally accepted best practices and standards; and, especially in smaller districts, the dearth of peers teaching similar programs with whom to share ideas and methods. It was clear from the outset that the summit both filled a need and struck a chord. The energy was electric and positive, with participants sharing ideas, exchanging contact information, and expressing excitement about how this summit and future ones can serve to advance autism education. The conversations among the participating educators centered around curriculum, behavior, programming and even finance. “I found it very valuable and very informative,” said Ocean Gate School District’s Joanne Hickey-Esler as she completed a post-workshop survey, the results of which will help plan future autism summits. Each participant received a certificate of attendance along with an Autism Awareness rubber wristband, which was provided personally by Ms. Kasper. For more information about Toms River Regional Schools special education programs, contact Director of Special Education Joy Forrest at jforrest@trschools.com.